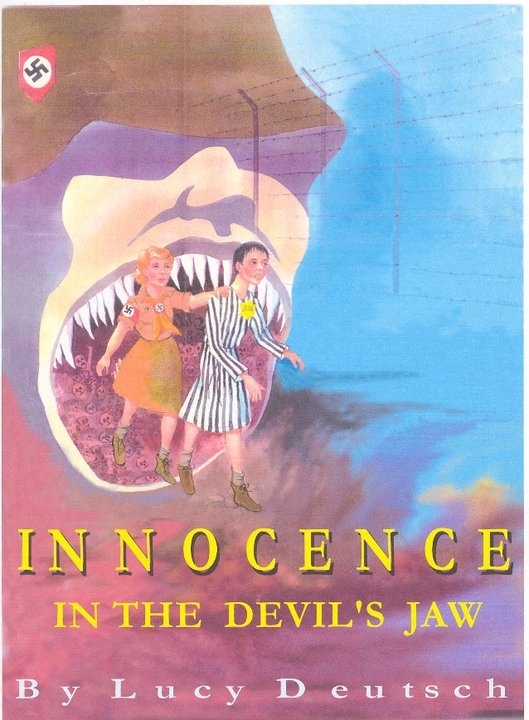 This synopsis represent the book and screenplay of INNOCENCE IN THE DEVIL’S JAW. It is a FICTIONAL story based on WWII true events. The subject of WWII is brought into this story by two women who are looking at it from different perspectives. LOTTE, a young Hitler Youth from Berlin gives a revealing look at Germany from that time period which till this day most are not aware of. RACHEL, same age, at the same time was living through a nightmare being a child Holocaust survivor where the events leading up to captivity are intimate and descriptive. MARY BETH, is the bridge which ties Rachel and Lotte together by compassionate understanding of their plight under the rule of Hitler. The three women find a special bond where finally they are able to release their oppressed deep feelings to each other openly. KENNY, Mary Beth’s eight year old son, poisoned by his fathers White Supremacist teachings is the vehicle in which Lotte and Rachel find an outlet to bring the past into the present. Each story that unfolds is gut-wrenching. They meet in the 1990′is. Lotte and Rachel are both in their early 60′is. Mary Beth is in her early 30′is. They all travel cross America together to reach their final destination. A strong connection develops between them which the tears from the past can’t stop their fun, their laughter, in the present. En route, as their past unfolds it unites them in a bittersweet bond of strengths. The last chapter in this story is very moving. It tells about a woman HANNA who gave birth to an infant in Auschwitz against all arts. Hanna is united with her daughter after forty-six years. Her daughter CARINA grew up in Poland and became a Catholic Nun. She finds out that her real mother is Jewish and lives in America. Hanna’s son a Rabbi and the unification of the three of them is highly touching and spiritual.